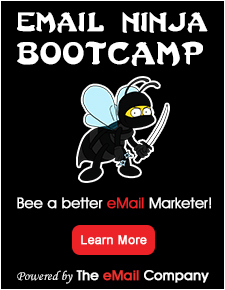 The email marketing solution for small to medium size business! We get a lot of referrals at Topica because our current clients love the personal service they get from our dedicated account managers! Grow your email list of subscribers with signup forms for your website. Create a professional eye-catching HTML newsletter and send it out to a targeted audience. Deliver your emails. Our service is backed by whitelisting, feedback loops and reputation monitoring. Manage multiple lists from one account. Topica is perfect for any size list. At Topica we think it’s important to be there for you with resources and email marketing tips to help your email campaigns reach their goals. We can help you manage and grow your email list and we offer a hosted email database solution too! Give us a call today or sign up for a no-risk free trail. 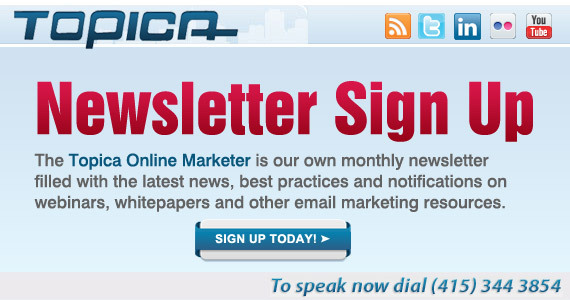 Experience the Topica Email Marketing soultion today! Have the advantage of working with the email experts. We’ve been doing it for over 10 years! We want to be your email resource to help you reach even higher success with your email list management and growth! Your customers can’t respond to what they can’t see. We make sure your mail gets to their inbox, or tell you why it doesn’t. No need to worry about the little things. Automate welcoming subscribers and time responsive campaigns down to the second. With some of the best customer support out there, we walk our clients through every step of the way to success marketing to their email list. Track opens and clicks of every subscriber for every link on every campaign – rich information at your fingertips. 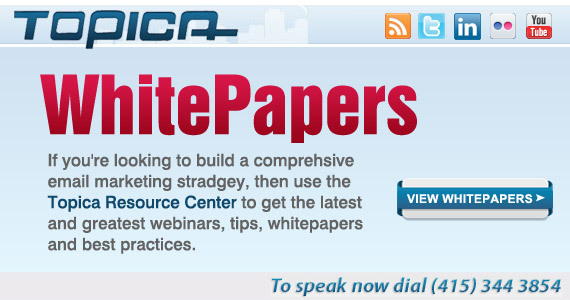 If you’re looking to build a comprehensive email strategy, then use the Topica Resource Center to get the latest and greatest webinars, tips, whitepapers and best practices. 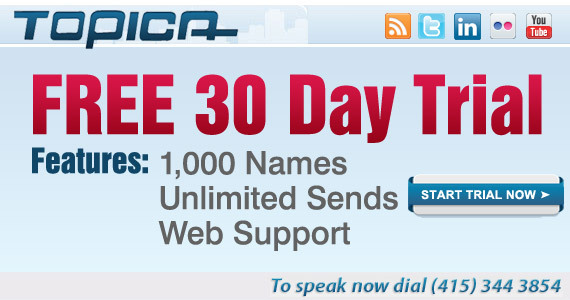 Topica is your resource for for email marketing tips to help grow your email lists and produce winning email campaigns! Everything from the subject line to the appearance of your text will determine whether or not your message gets opened, read, and produces the results you want. In this whitepaper we will describe hints and tips to make sure you’re getting the most out of your newsletters. Becoming a part of the social networking phenomenon does not mean having to take part in virtual speed dating. Read this powerpoint resource and learn how to get your word out to millions. Find out what all the chirping is about and why you should join in with the chorus. To Outsource or Keep Email Marketing In-House? This whitepaper will look into the areas of cost, time and reliability to prove in a simple manner that the benefits of outsourcing a company’s email marketing outweigh those of starting an in-house solution. Have the advantage of working with the email marketing experts. We’ve been doing it for over 10 years! With some of the best customer support out there, we walk our clients through every step of the way to email marketing success.